As the old adage goes, a dog is a man’s best friend. If you own a dog, you already know that taking care of them is relatively straightforward. From keeping them well feed everyday to giving them enough exercise, there are many things you can do to give your pooch the love and attention that they deserve. Dealing with a sick dog, however, can be very stressful for any pet owner. If you think your dog may be ill or they have started to act in an unusual manner, it may be time to take your dog to the veterinarian. In this article, we’ll take a look at some common signs it may be time to take your pup to a specialist. At 911 VETS®, we understand how important your four-legged friend is to you, which is why we offer mobile veterinary services throughout the Los Angeles area. We offer a plethora of veterinary services for your dog, from routine house calls and treatment to euthanasia and aftercare. If you’re interested in learning more about our mobile vet services or you’d like to speak to one of our certified veterinarians, contact us today! If you’ve noticed that your dog has difficulty breathing, it may be time to seek help from a veterinary professional. Dyspnea, also known as difficulty breathing, can manifest itself in several forms including wheezing, choking, and respiratory arrest. This can occur when there is a foreign body present in your dog’s throat or if they have an allergic reaction. Dyspnea has also been known to occur when a dog has heart disease pulmonary disease, as well. Breathing issues are almost always an indicator of bigger health problems, so don’t wait to bring your dog to the vet if and when this occurs. If you live in the Los Angeles area and are in need of an emergency house call for your dog, contact the experts at 911 VETS® right away. We’ll rush to your home to tend to your dog right away, and our veterinarian will perform a thorough inspection of your pooch before recommending the best treatment solution for them. If your dog has experienced any type of trauma such as a fall, wound, or getting struck by a car, it’s critical to get them to a veterinarian right away. Even if your dog appears to be fine after an altercation with another dog, scheduling an appointment with your vet is necessary to ensure your dog isn’t injured. Many canine injuries such as a ruptured lung or internal bleeding will not manifest symptoms immediately and some lacerations may be deeper than they actually appear. If you’ve noticed your furry friend limping or crying for no reason, contact your local veterinarian as soon as possible. 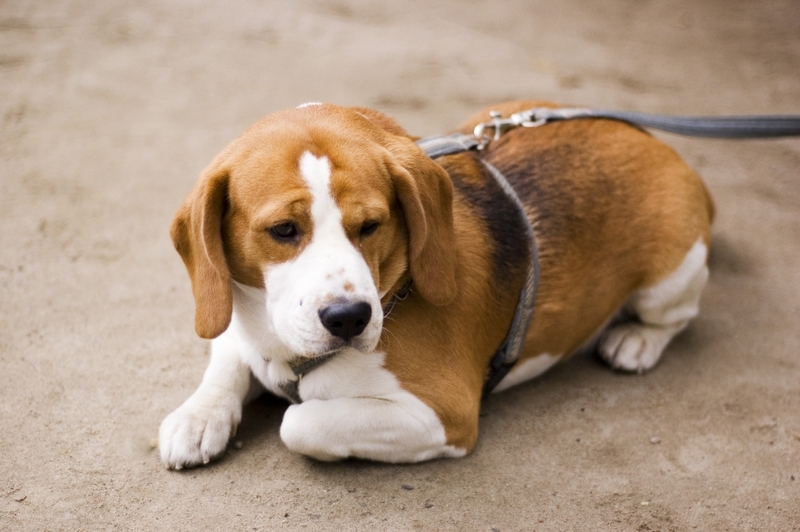 Did you know that neurological conditions can manifest in your dog in a variety of ways? From disorientation and incoordination to lethargy and unresponsiveness, there are many telltale signs that there could be something wrong with your pooch. A healthy dog will always act alert and responsive, so if you start to notice that your pup isn’t acting like their happy self, it could be time to call the experts at 911 VETS®. One of the scariest things you can witness as a dog owner is watching your dog having a seizure. While there are many signs that your dog may be having a seizure, some of the most common symptoms include uncontrollable shaking and tremors, a loss of consciousness, and loss of bowel or urinary control. One of the most common causes of seizures in dogs is epilepsy, and your local veterinarian will be able to properly diagnose this condition in your dog. If your pup has one or multiple seizures within a 24-hour period, schedule an appointment with your veterinarian right away. If your dog has gotten into a box of chocolates or you discovered a chewed up rat bait while doing some laundry, your dog may have gotten into something toxic. If you suspect your dog has consumed something harmful, call the ASPCA animal poison control at (888) 426-4435 to get immediate advice on what to do. A veterinary toxicologist may advise you to induce vomiting in your dog before seeking immediate medical attention. Make sure you have a bottle of hydrogen peroxide in your house at all times in case you are asked to induce vomiting. If live near Los Angeles and your dog has difficulty breathing or they have suffered trauma from another animal or fall, contact 911 VETS® today. We offer the best mobile veterinary services in town and we’ll gladly come to your home to tend to your pet.